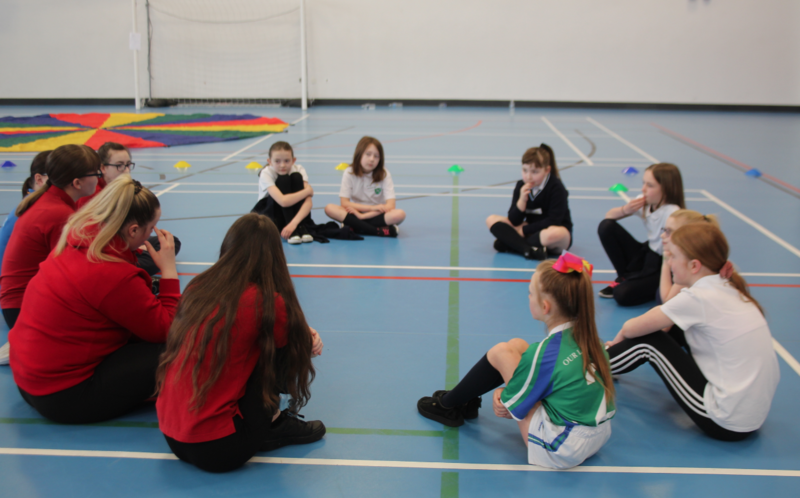 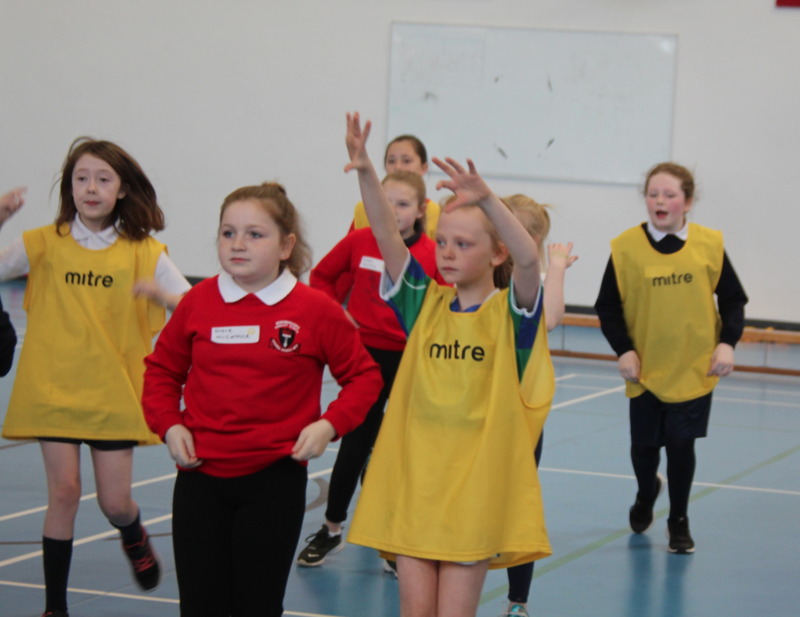 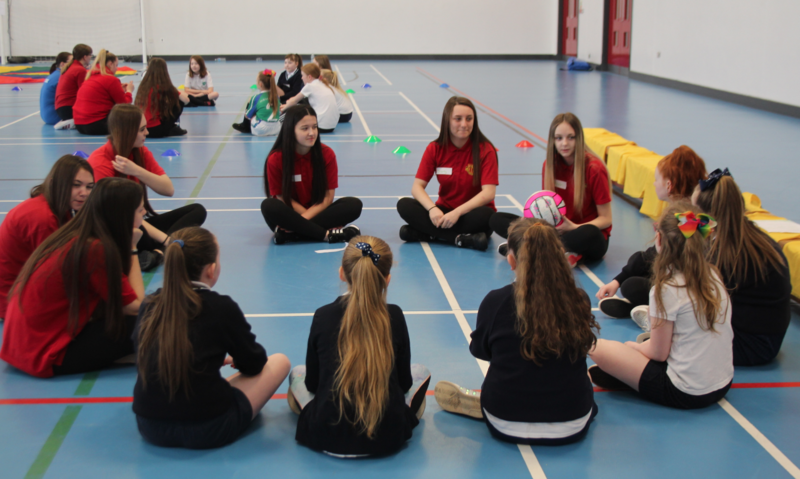 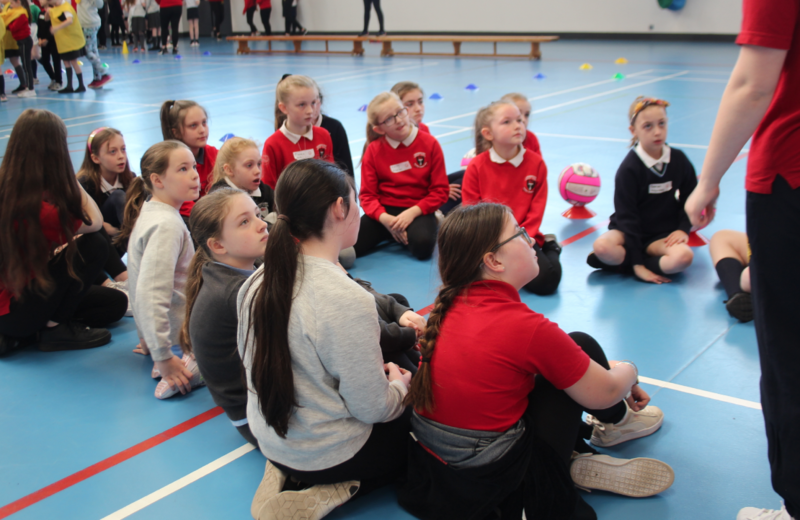 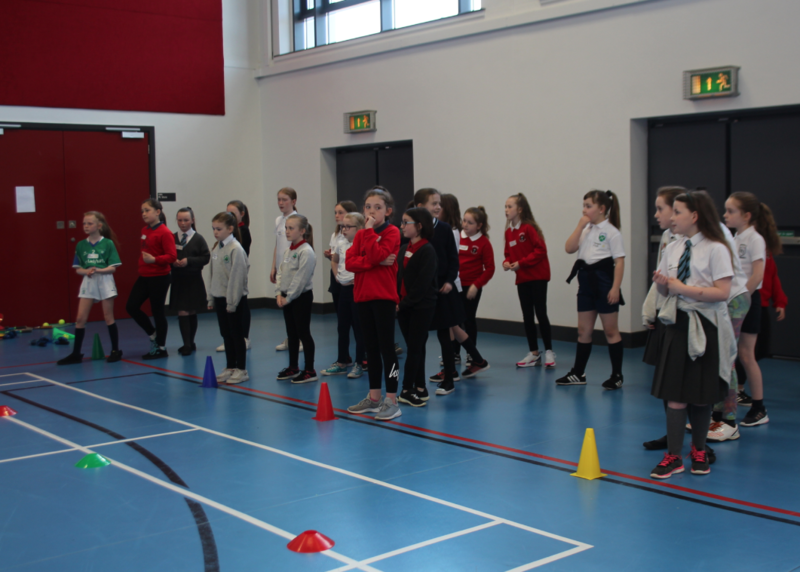 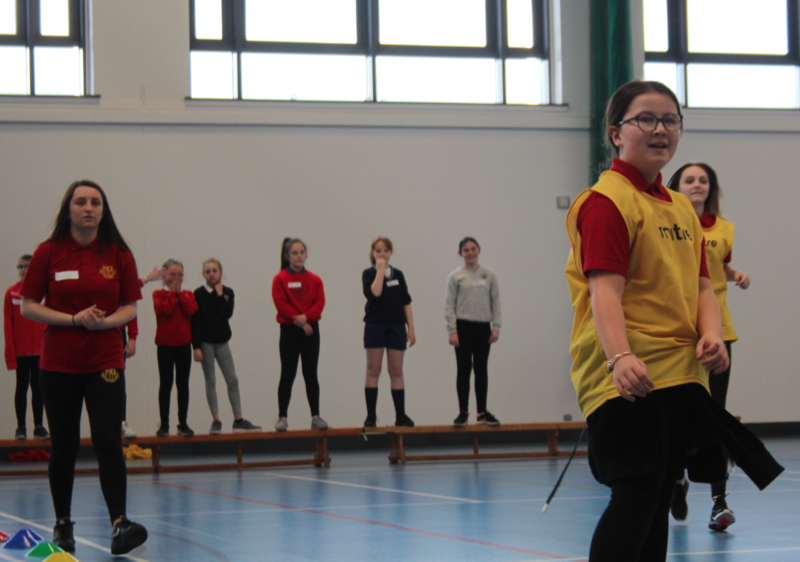 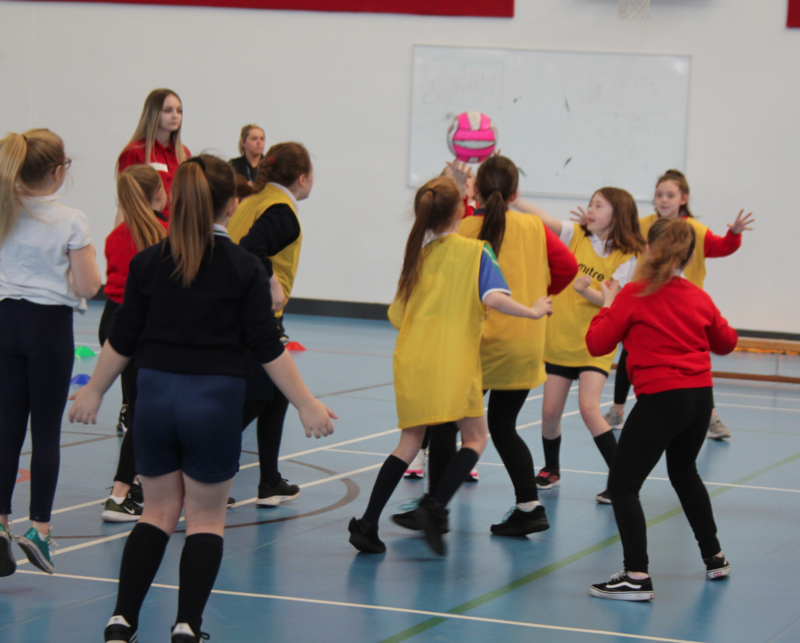 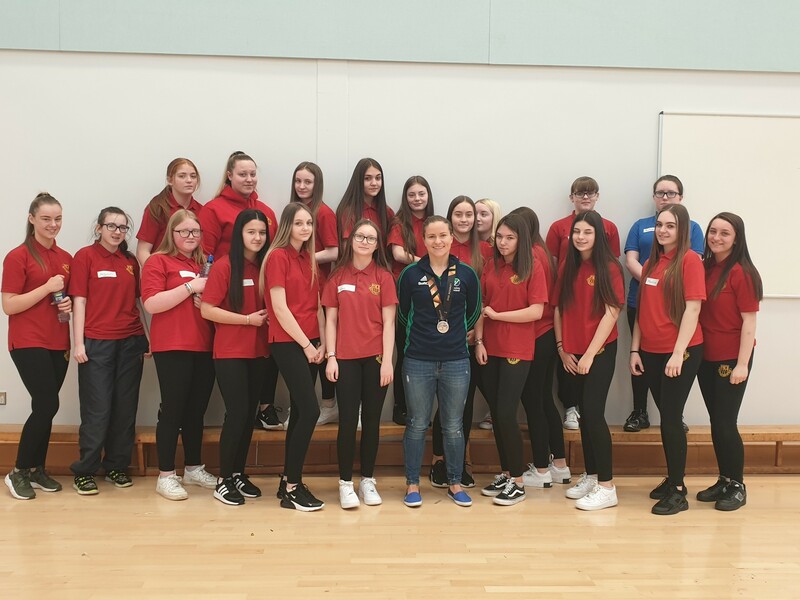 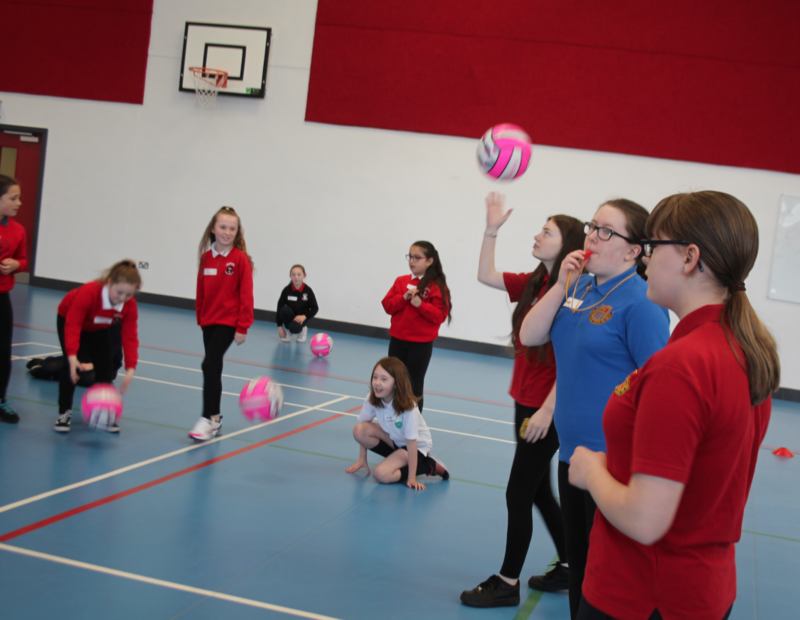 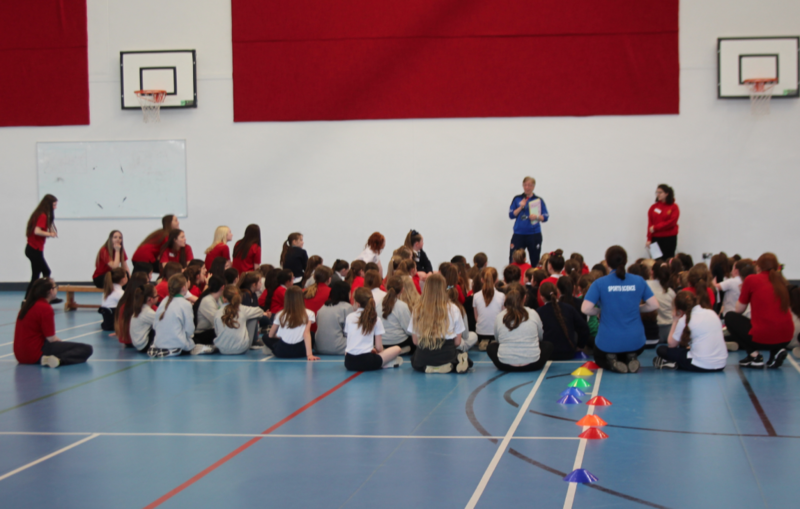 On Wednesday 10th April, a group of Year 11 girls hosted the annual P6 Sports Festival for 100 local Primary School students. The Year 11 students have been working towards this event since January with girls being involved in coaching and the management side of the event. 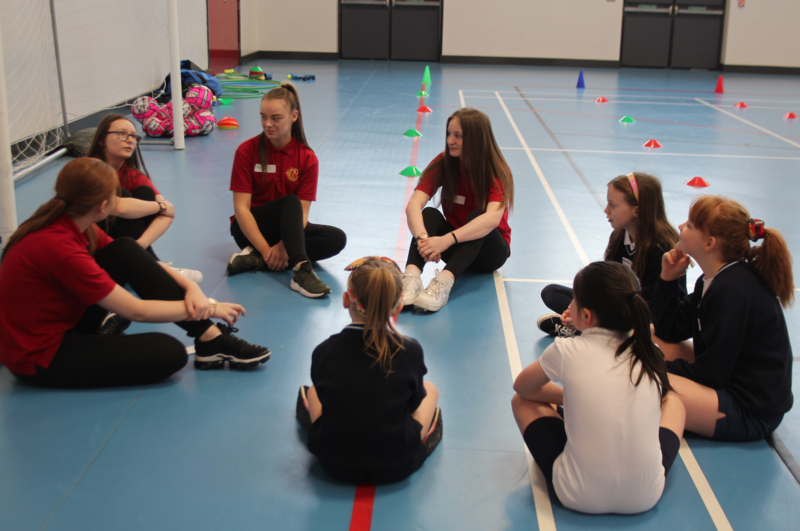 The Year 11 sports leaders have gained lots of confidence by learning many new skills including coaching, leadership and organisation skills. 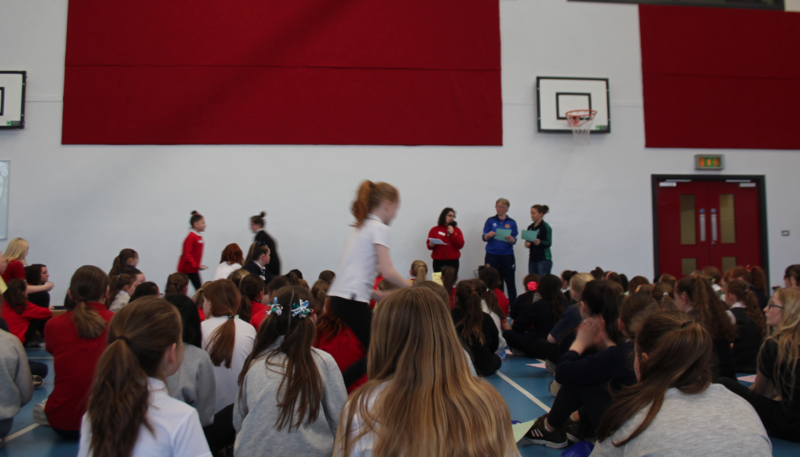 The girls in the management group organised buses, the schools, certificates and the break for the children. 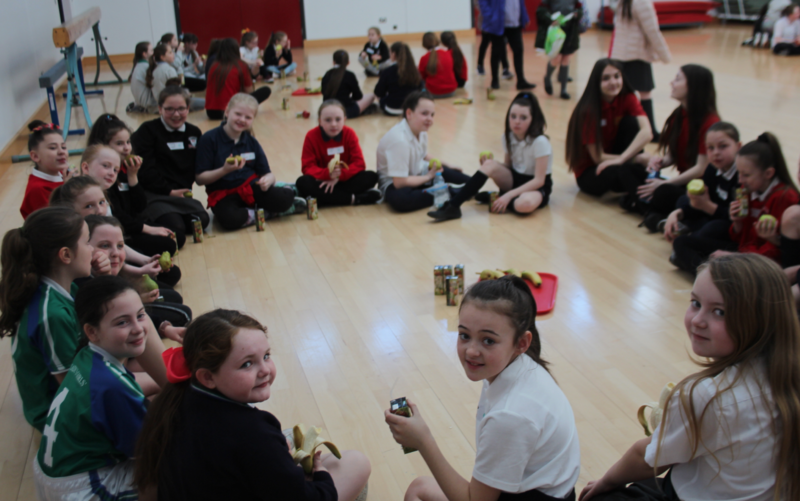 The event was a massive success! 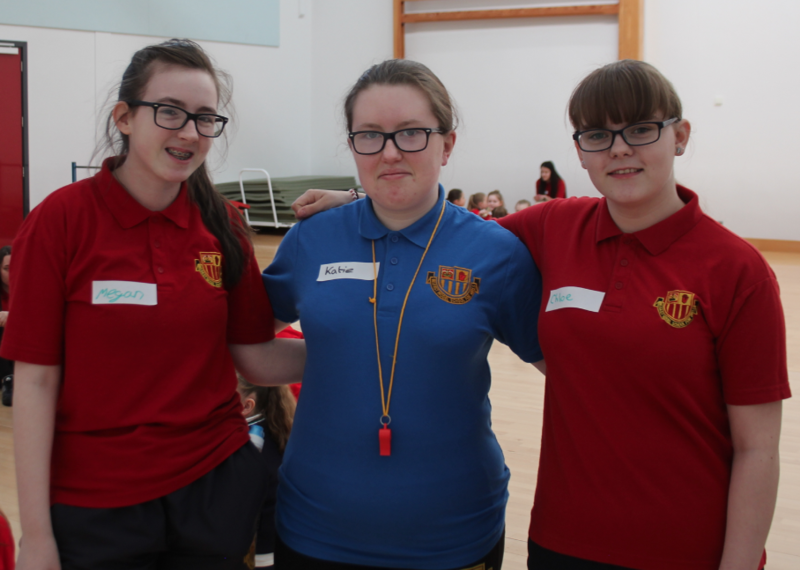 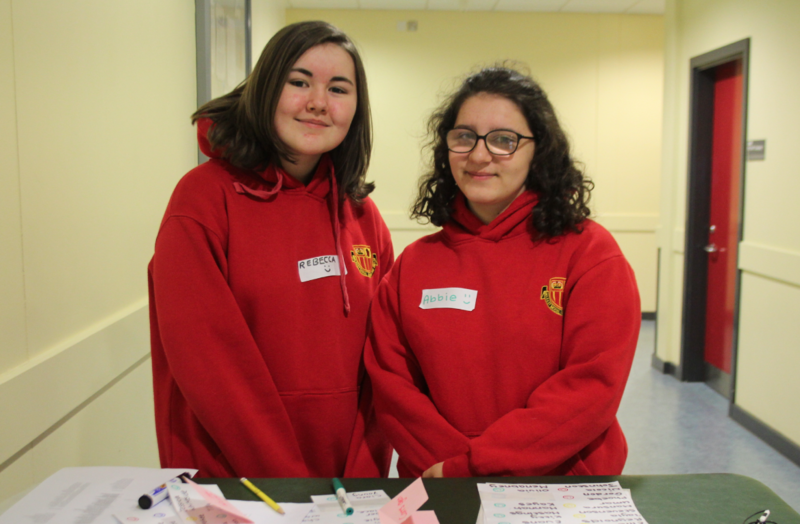 Every single Year 11 student was amazing and all the P6 girls loved the games and activities which they took part in. 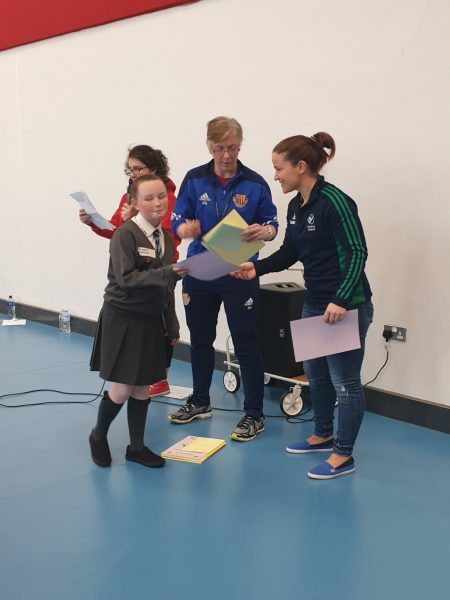 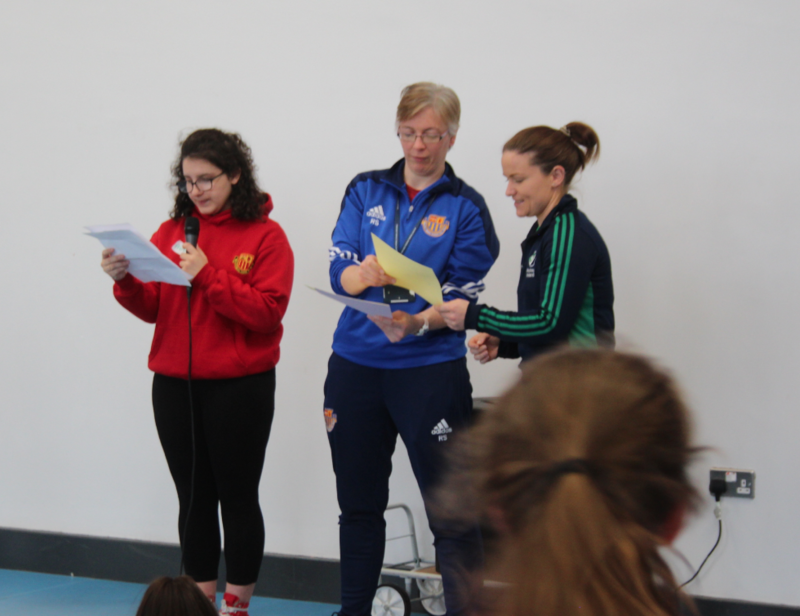 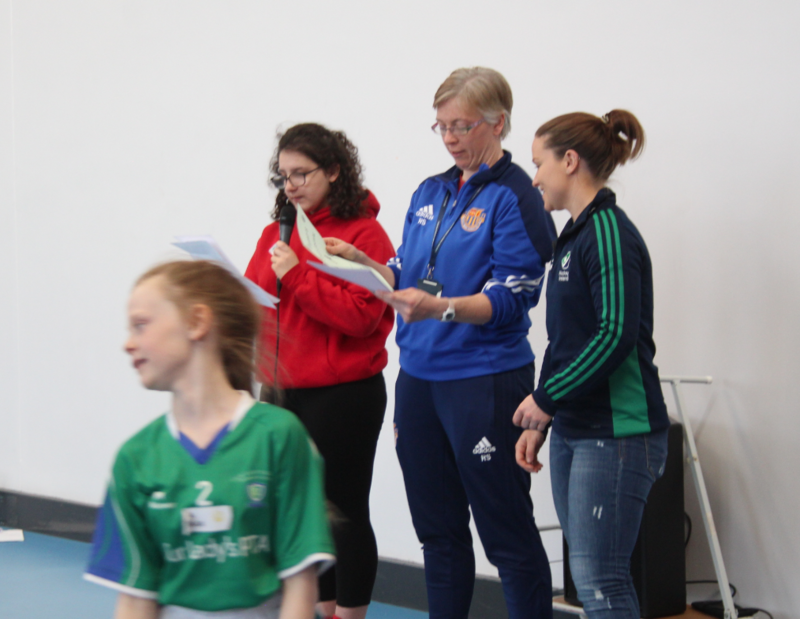 We also had a very special guest, Ireland Hockey’s most capped player Shirley McCay, to hand out the certificates at the end. 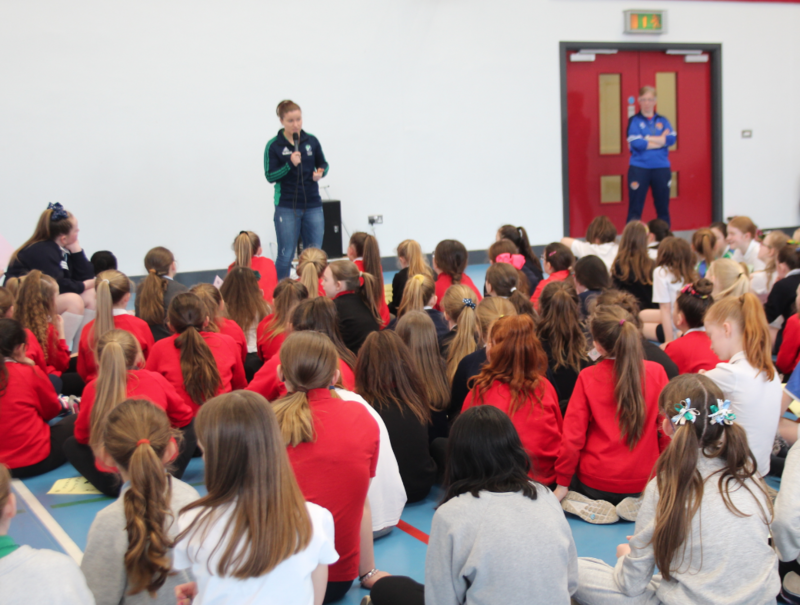 Shirley also brought along her silver medal from the Hockey World Cup last summer in London. 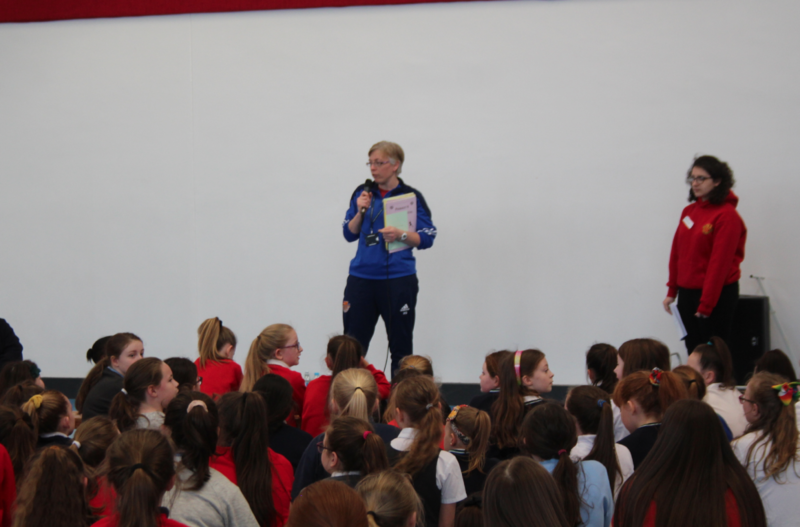 A massive thank you to Shirley for taking time out to come to support us in this event. 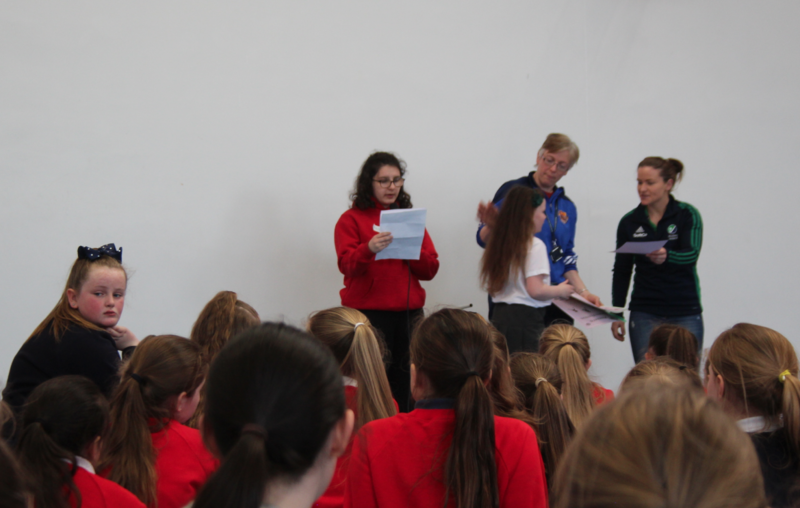 A huge well done to all Year 11 girls who participated! 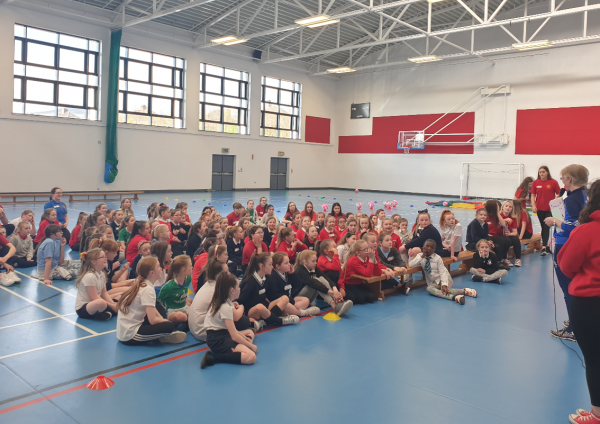 © 2019 Belfast Model School for Girls.